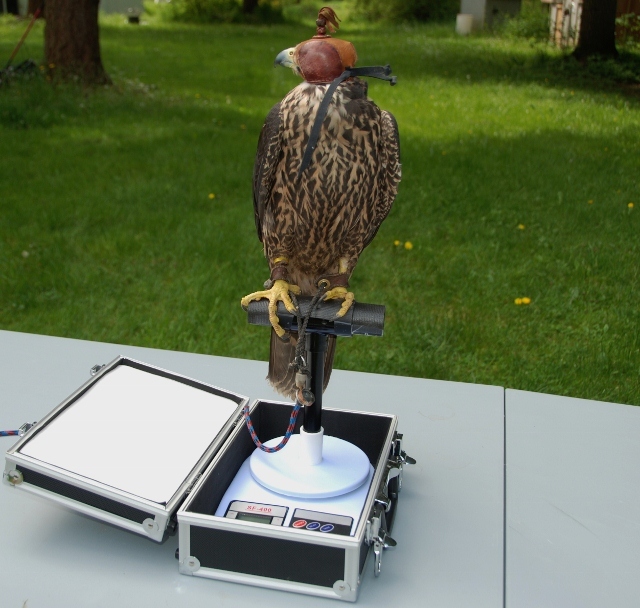 Telemetry is piece of falconry equipment that is an investment but invaluable when needed. 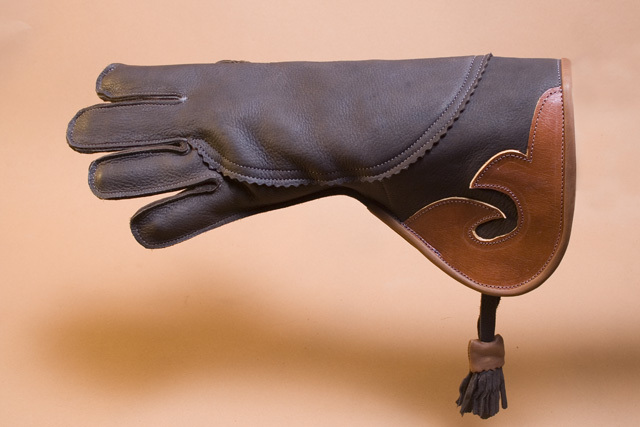 The glove, or gauntlet, is often considered a tool for the falconer. But in reality is more often a tool for the bird. It gives the bird a good platform and material to balance on, as well as a tool that the bird is conditioned is a positive and safe place. The lure is a vital piece of equipment in almost all common training methods. A vest or bag is a surprisingly necessary tool. You'll quickly find you have a lot more equipment to carry around than you thought originally. 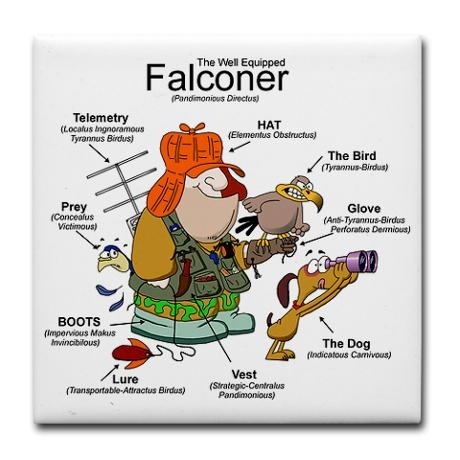 It's easy to get overwhelmed with the amount of equipment and gadgets that are part of falconry, so we're going to use this page to talk about necessities and nothing more. For the basis of this page I will be using my home states requirements although most other states have identical or near identical requirements. You can find your states requirements in the state falconry regulations that pertain to you. Remember, also, that your sponsor may require you to use something additionally to this list, and that should be addressed between the sponsor and apprentice. Housing and Perching and Tethering equipment are discussed on their own page, and both of which are required as a falconer. I'm also going to include some equipment, that even if not considering a requirement by the state is a "need" of basic falconry. Falconry jesses have use in multiple situations. Both tethering and free flight. To the right you'll see 2 sets of jesses above a pair of anklets (tethering systems are discussed on tethering page). The jesses with the slits are used for tethering and are NOT permitted to be used while free flying the bird. The reason for this is catch risk. An open slit can readily catch on a branch or other obstruction and create a situation where the bird is hung by their leg on an object they can't get off of. The jesses without the slits are for hunting, they allow the falconer to have control of the bird even if it tries to bate away. Although, in hunting styles like squirrel hawking, it is common that falconers will use no jesses at all to further reduce the risk of hanging up. Traditionally jesses were made of leather, but as time progressed paracord materials are increasingly being used in both the "convertible" form using whole pieces and braided. 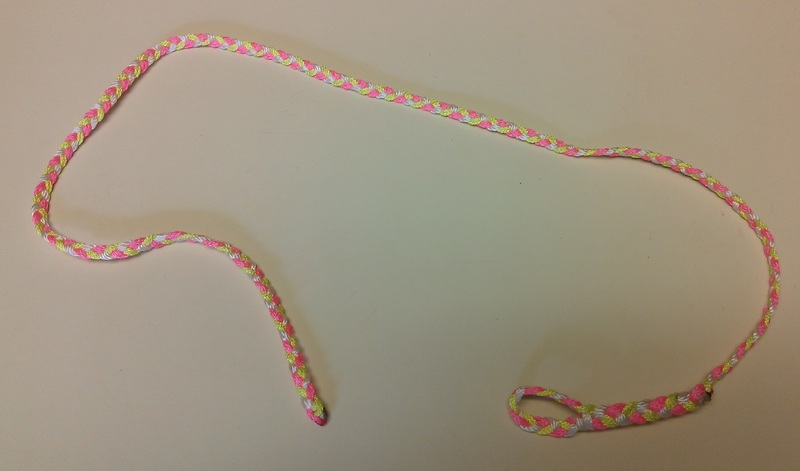 There's multiple vendors who specialize in braided jesses and other equipment. A video to the right by youtube user "Falconer's Apprentice" (which BTW produces some excellent tutorials and footage on his channel) shows one method of making your own jesses with paracord. Leashes are another major component of raptor husbandry. They are used to control the bird, tether the bird, and other wise keep the bird safe from harm in captivity. 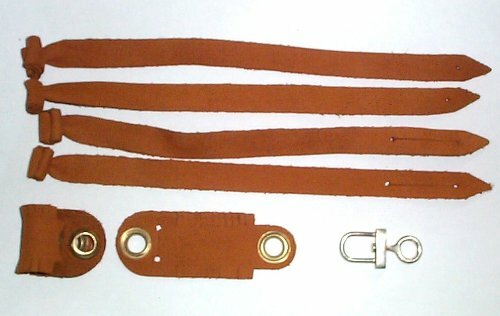 Much like the jesses, traditional leashes were made of leather strap, but more commonly they are made of paracord or similar material. They are used in conjunction with jesses, swivels, and perches to create a tethering system. Bath pans are relatively self explanatory. 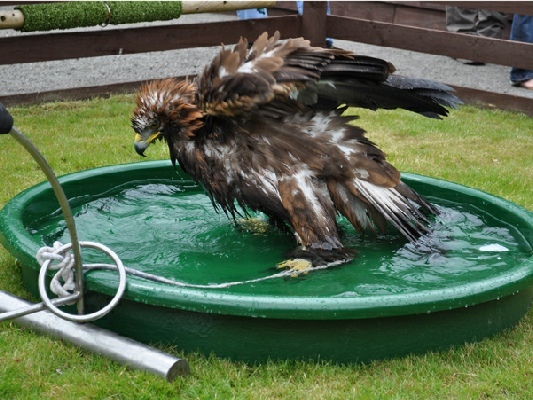 It’s important to provide the bird a constant supply of fresh water and the bath pan is the most common way to do this. Although many falconers also carry a spray bottle with fresh water and spray their birds down after hunting. Some smaller species, such as kestrels, have been known to even drink out of bottle caps in the field as well. The bath pan is normally just located near the perched location and the bird is freely permitted to use as desired. Bath pans are normally made out of plastic or fiberglass material and available at various falconry supply stores as well as your normal farm supply stores like Tractor Supply. Scales, both digital and manual like the triple beam balance, are a key piece of the falconry puzzle. The scales provide a way for the falconer to monitor the birds condition and likelihood to hunt properly. You can learn more about the fine details of it at the weight management page. Some falconers still swear by the triple-beam-balance scale but most falconers have since migrated to the use of quality digital scales. This is because the birds movements don’t effect the data as readily, and many scales will peak/average out the motions as well. Entry level scales can cost around $50 and can go upwards into the hundreds for a high quality scale. The image to the right is courtesy of Northwoods Falconry and one of the scales/carrying cases that they sell. It’s one of the most common traits of all falconry art, the “glove”. A key item many people don’t realize and is critical to the entire process being successful. It gives the bird something to grab onto for balance rather than your smooth skin. Very rarely does a well mannered bird try to dig into the falconers hand. The glove also serves as a reward station for your raptor to return to for a small piece of food. This can be for positive reinforcement while out in the field or to recall your bird after a hunt. Another by-product value of the glove is cover for the falconer when assisting with quarry such as squirrels. The glove to the right is one as made by Stanislav Falconry. 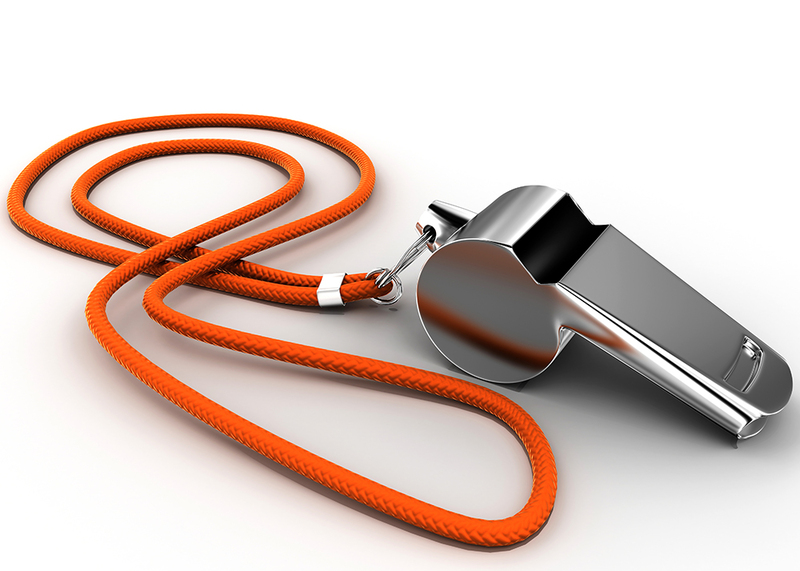 As we will discuss in the training area of the website, it’s extremely useful to carry with training aids such as a whistle, a clicker, or even both depending on your methods. I personally use both the whistle and the clicker for different actions, however the whistle is the most commonly used for behavioral reinforcement. A recommendation is always carry a back up. Although not legally required, this item is a staple in every falconers hawking bag. The lure is used in almost every training regime for both falcons and hawks, even if in different manners. The bird is conditioned to see the lure as a reward, normally with a “bigger” reward than just returning to you. This helps bring in the stubborn bird or quickly recall during a dangerous situation. 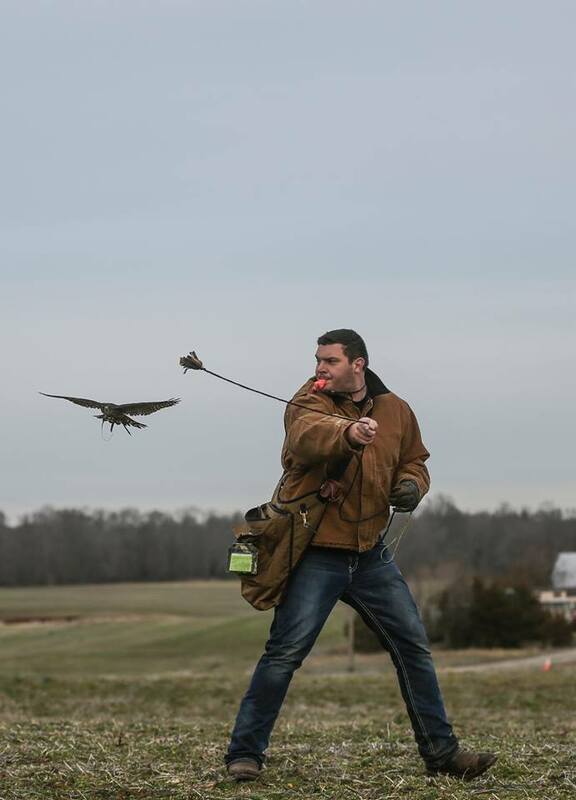 Some falconers try to make their lures look lifelike as possible. Others use whatever random pieces of material they may have around. The looks/material do not seem to matter as much as being consistent. I make a duplicate backup for every bird just in case I lose the lure and need to get the bird down in a pinch. Often, however, once lure trained a bird will come in to any lure being swung. To the right is myself calling in a Merlin after an afternoon of hunting and the starling since dispersed.